This is the one I bought for mine. I too wanted an original but I couldn't find one, and had a hard time finding a fancier one that wasn't going to be louder. Walker site lists it as 1 in, 2 out, so the configuration is right, and the size is about right. I'll let you know how it goes once the body shop gets that far. Have you already installed that muffler? If so does it seem to be working properly? That might be the Walker muffler I had been told worked in another thread (that I can't find). I just checked out the Walker #22354. The picture I got was one in one out. I don't know if there is a mix up on the number, or what, but I just decided to go ahead and order The Magnaflo performance muffler #14580 with dimensions of 5"x11"x22" and 28 overall. It is one in two out 2.5 in 2.25 out. Dimension wise is almost the same as the O/E Reatta. I'm told it has moderatate exterior noise. I just checked out your muffler again on a different web site. Amazon apparently is showing a wrong picture. Advance Auto parts show it as one in two out. The dimensions on yours look pretty good. The one I chose was closer to O/E. After I have mine installed next week I'll let you know. The Walker 22354 (http://www.walkerexhaust.com/images/catalog/coupons/10390.gif) is 1 in and 2 out. But the 'in' port is on the same side as one of the 'out' ports. Also it is the V-8 muffler, so the 'in' port is 2-1/2", and the "out" ports are 2-1/4". It seems like the Walker 18240 (http://www.walkerexhaust.com/images/catalog/coupons/10392.gif) would be almost identical to what is in our '88-'90 cars. That is, it has a 2-1/4" inlet and twin 2" outlets - which is the same as the Reatta. All the ports are on the correct sides. 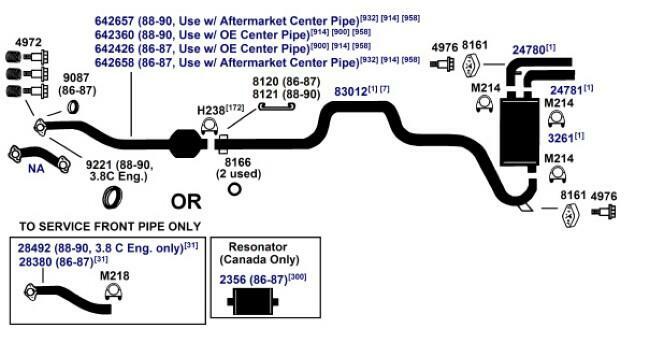 It even cross references into some 1986-1990 Electra/Lesabre/Olds 88/Olds 98/Bonneville 3800 applications. Are you able to make the out port by itself on oneside as the in port and make the inport and outport on the same side into both outports, like in Barney Eatons Camaro diagram. The Walker they were showing, in the Reatta store, you couldn't do it that way. Just wondering for other peoples reference. AP Exhaust #3261. They have pre-bent twin tail pipes for it too. Part #s 24780 and 24781. 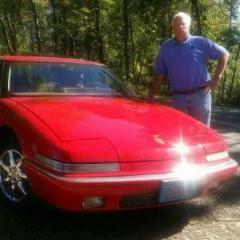 Go to http://www.showmetheparts.com/apexhaust/ and select 1989 Buick Lesabre w/sport exhaust. It comes up with this: . I just checked three different aftermarket catalogs and below is the findings......... no way of telling how loud or quiet the different brands might be, you would need to call their technical support. Ground zero.....factory Reatta size 1988-1990 pipes are 2 1/4 in and out the muffler body is 22 1/5 long. 1991 pipes are 2 1/2 in and out body is 24 1/2 long. All of the above are NOT listed a Camaro mufflers, and I could not find anything in the online catalog that showed their Camaro could be hooked up like a Reatta. Actually, on my '90, the stock 'out' pipes are 2", not 2 1/4". Considering that the whole rest of the system is 2-1/4", I doubt that either way makes much difference in back pressure. The twin output pipes do look neat though. One nice thing about the Magnaflows is that they are stainless - just like the factory system. I was hoping that there was an easy fix but I guess that using the old tailpipes is the only way to do it. Thanks guys. Here's what I did about two years ago. I believe the muffler was listed as being for a Camaro. I don't remember what brand or the part number. Could be Walker. It won't win any awards but it works and at first blush, aside from the muffler length, it looks original. My intent was to re-use the original tail pipes but found it easier to use off the shelf parts from AutoZone and, or AdvanceAuto to fabricate a reasonable facsimile. It's been a while since I've posted photos or used a file converter so I apologize in advance if the images are too big or too small. Thanks for the info and the pics. On the muffler I chose the out are seperated but I figure just bring the out, closest to the front of the car, a little farther out from the muffler port so it will line up next to the other one. That looks fantastic! 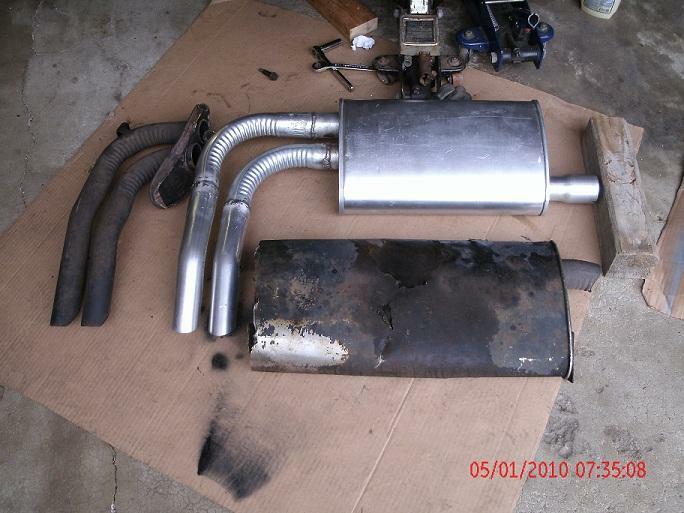 If I ever need a new muffler, I hope mine will turn out that good! Good find on the Walker 18240. Mine hasn't been installed yet and now I am wondering if I should just let them try the 22354 or if I should get the 18240.. Though as you said this 18240 one has 2" outlets and I thought my '89 has 2 1/4 all around, can someone confirm what is so? I do think the 22354 is made all the same for the single side to be the in, and balances the two outs, despite placement, but I don't know for certain. I believe it said the single-end was the in. I didn't feel comfortable trusting that the ports could be switched. That is why I contacted Walker and talked to their tech support. He said they cannot be switched. I believe the outs on the original Reatta are 2" and the in is 2 1/4" If your replacement muffler is off by 1/4 or 1/2 an inch you can adjust with adapters. I went with the Magnaflo #14580. You can pick from several dimensions. I picked 5" x 12" x 22" and 28" over all. 2 1/2" in 2 1/4" out. This was the closest to original size that I found. I'm told it will have a low/medium sound. OK. I thought I had found the perfect muffler in size and format in the Magnaflo Performance #14580. To my surprize when I took it to the muffler shop to have it installed. They informed me that it was on in and two out but not at oposite ends. It was a camaro set up wit an In and an Out at one end and the other Out at the other end. When I checked it out at Anythingauto.com it's discription did not say it had this type of set-up. I even talked with a support person just to clarify and he never said anything. So now it goes back and I have to pay $20.00 shipping because they do not have anything else comparable. So once again I obsessed on my search, called Walker again, gave them some guidelines of what I was looking for and they came up with a part #. I started serching vendors and no one had that part #. Come to find out it was a really old number. I called Walker back and the gave me a new number that was close to the same dimensions. It's a Walker F/X #18240. The In is 2 1/4" off set (just like O/E). The 2 Outs are off set, on the other corner of the other side and are 2" (just like O/E). The dimensions are a little different but as close as I can find. It's 4" x 8" x 17" total 21". I got mine from Autopartswarehouse.com but you should be able to find it locally in your area. After I get it installed I'll take some picks and show you. Well I think we can conclude then that of the inexpensive mufflers that the Walker 18240 is one way to go. Yes, The Walker #18240 to me is the best fit. 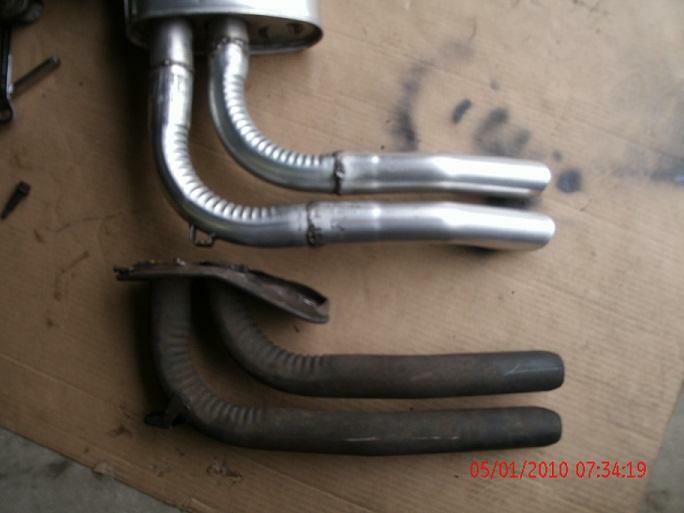 After agonizing over finding the "PERFECT" muffler, thinking I found it with a Magnaflo, only to find out that after I purchased it, that it was a Camaro set-up(In and Out on one end, the other out on the other). I had the Walker installed today and outside of having one of the out ports cut off slightly and a small extension added to the in it lined up fine. I kept my original tail pipes, although you could have two new ones custom bent. Make sure they are Mandrell bent. This Muffler could be put up on the Reatta store site as a good fit. Slightly shorter (17" as compared to 22"). Doesn't need alot of pipe modification to fit and keep the same hangers. Does the Walker #18240 have a sound similar to the stock muffler? Thanks. 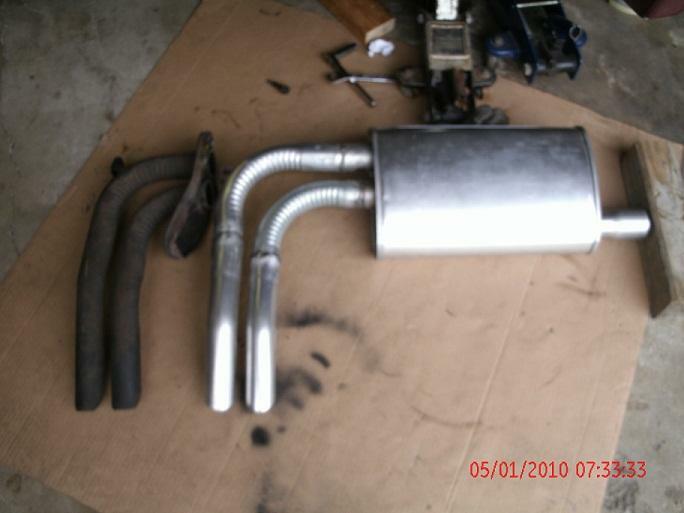 I will add the muffler to the Reatta Store soon. 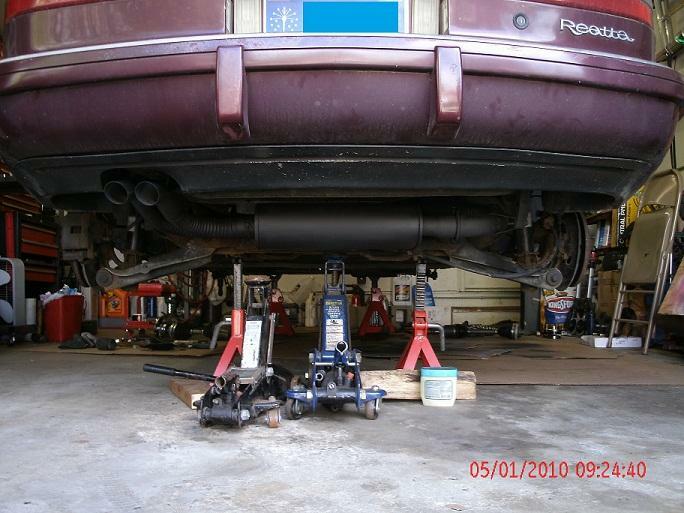 Okay this is the best series of posts I could find regarding mufflers. Reatta Forever did a lot of research on these. However the one Reatta Forever ended up with is steel, not stainless steel. From what I can remember after talking to Walker is that the 1xxxx numbers are steel and the 2xxxx are stainless steel. The #18240 is close in dimensions but discontinued. The Walker rep told me that the #22401 is also a close match [which are the ones I found on Ebay] have the correct inlet and outlets but is shorter [18"]. I misspoke on the ones I have, they are not factory correct in length but will work. Once again I have two but am only interested in selling one. 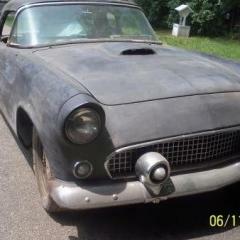 There is one still for sale on Ebay but the guy wants just under $150.00 delivered for it. I'll sell one for $110.00 delivered. I know! …. And it's a lot of good information. Fantastico!! !